I must confess I procrastinated several weeks, thinking it would be a difficult and unpleasant task. I use computers all the time, but know almost nothing about computer programming, and the thought of doing HTML (whatever that is) filled me with dread. I pictured myself spending hours going thru “WordPress for Dummies” and online help pages trying to figure out how to do it! In desperation, it turned to the WordPress online help. Fearing the worst. I was amazed! WordPress online help showed EXACTLY how to add links! It was EASY! Within five minutes I was adding links all over the site! My self-confidence soared! WELCOME to the newly upgraded version of the Iona Portal website! There’s more to come for the website, but I think I can take some time from the site now to begin the publication process for Iona Portal. I’d like to have the book out on the Kindle platform (and maybe others) within the next three weeks. I really appreciate all the helpful suggestions and feedback on the site. Please let me know if you have any trouble with the RSS feeds or email subscriptions. The Iona Portal website is one month old! I’ve never done a website before so I’m learning as I go, but it’s been a fun process! A big THANK YOU to all who have left comments here on the site and sent DMs on Twitter! You’ve been TREMENDOUSLY encouraging, and your suggestions have been very helpful. The site is still growing and developing, and there’s a lot more to come. In the next few weeks, I’m hoping to add RSS feeds and am looking into Google Friend Connect. When that’s done, I want to develop a video trailer for IONA PORTAL that will be viewable here, and on YouTube. And at some point I need to get back to working on the Iona Portal sequel! Back from Thailand and (almost) over jet lag! It was an incredible trip, but Dorothy was right: “There’s no place like home!” I don’t travel again ’till September. Since I got back I’ve been working to further develop the IONAPORTAL website. I’m pretty new at this “website” stuff, and trying to figure it out as I go, but I’ve loved how it’s turned out so far. This week I’ve added a new page, “IONAPIC of the week.” Each week I’ll post a selection of the graphic art designed for Iona Portal and the Synaxis Chronicles trilogy. I posted the first pic right after I got back from Bangkok, and just posted another one for this coming week. I hope you enjoy them, and believe they will give a hint at what lies ahead. Concerning publication, I’m still actively pursuing an agent, but I’m also gearing up to self-publish on Kindle and Nook if that has not materialized by the end of the summer. 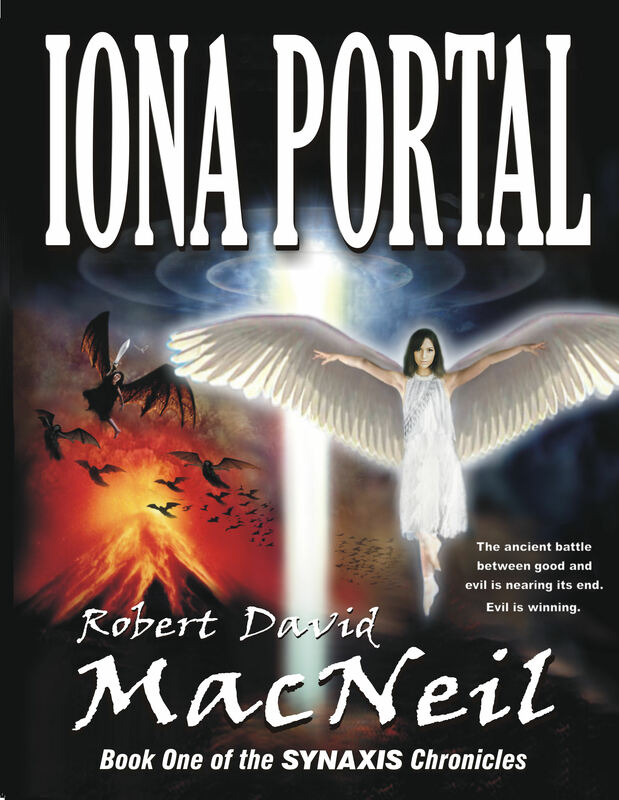 As we get closer to that time, I’ll post the first two chapters of Iona Portal on the website.